Fall Special. Call For Price. We would rather not store this unit. Call for your best deal today! 2001 Sea Sprite/United Marine Corp 260 SE Mid-Cabin 28 foot Power Boat. This unit has a 5.7 liter Mercruiser with a Mercruiser outdrive. Fiberglass Hull, 8 ft 6 in Beam, and the net Weight is 4400 lbs. The boat is very spacious, and is rated for up to 12 people. The upper level is very spacious and inviting with the walkout deck in the rear. In the lower cabin is very nice and has many extra features including bathroom, microwave, Oven, stove, sink, and has a queen size bed up front and twin size bed for children in the middle. 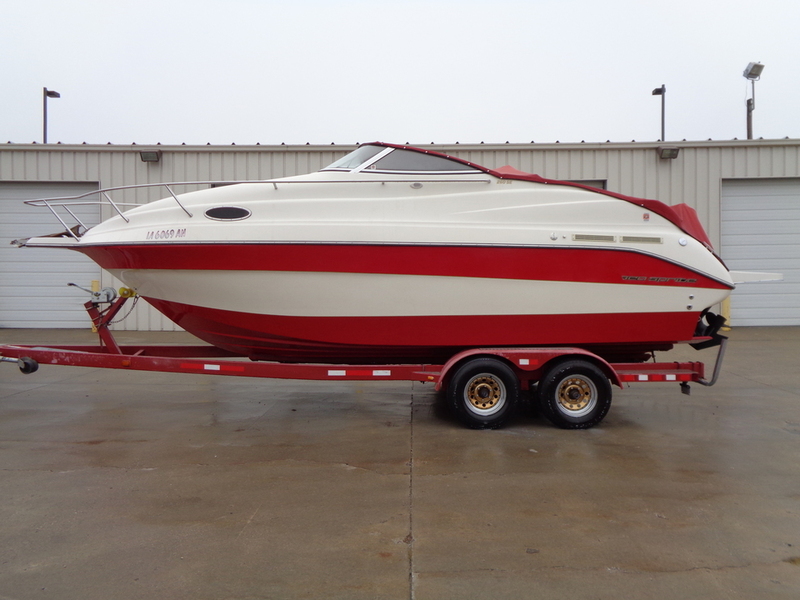 This boat has been in storage since 2014 and was just recently "Winterized". The lower 1/4 of the boat has been recently painted. We have installed two new Interstate batteries and had the boat on the water. The boat starts easily, runs strong and operates the way it should. The trailer in the pictures is included.